U.S. customs authorities thwarted the shipment of over $1 million worth of counterfeit bags going through the Miami Seaport today, WWD reports. The haul of goods was made up 2,300 fake bags, most of which were counterfeit Gucci and Louis Vuitton items. 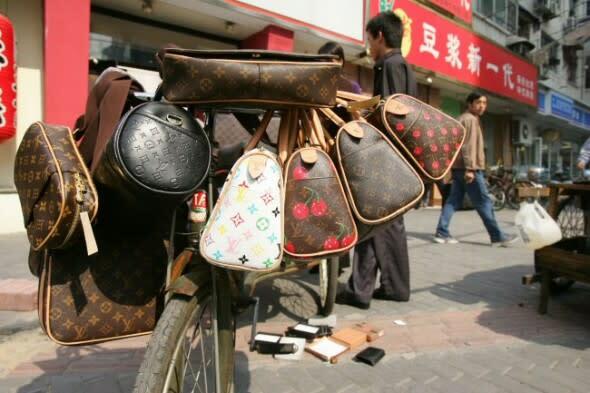 The shipment, which was arriving from China, held 1,200 Gucci knock-offs and 1,195 Louis Vuittons. The bags were hidden among 825 cartons containing other clothing items, including trousers, shoes, and handbags, that were not in breach of the law. "This seizure is a perfect example of our CBP officers and import specialists’ commitment to preventing counterfeit goods from entering the commerce of the United States," acting Miami Seaport director Kenneth Haefner said, according to WWD. The $1 million dollar figure, which represents the total if the bags were being sold at retail prices, may be the biggest in Miami this year, however it doesn&apos;t hold a candle to some of the larger busts of recent history. The decade&apos;s biggest bust just recently happened in Hong Kong, $22 million worth of fakes were seized in Thailand last year, and mountains of counterfeit Nike shoes worth $490 million were seized in Germany almost a decade ago. In 2014, federal officials seized $342 million worth of counterfeit products.